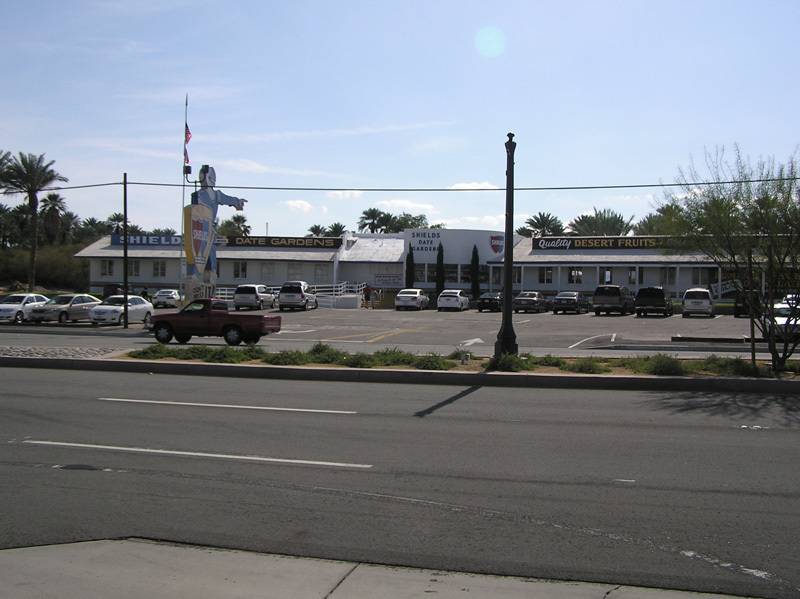 On Sunday January 31, 2010, we drove southeast on I-10 to Indio, CA, the "Date Capital of the Western Hemisphere." 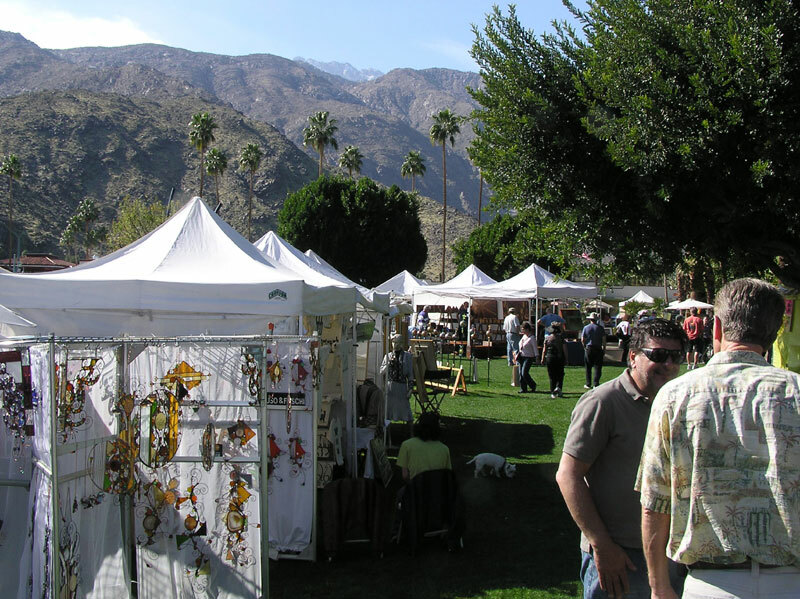 On the way, we passed through the "funnel" where the San Bernardino Mountains come in close proximity to the San Jacinto Mountains. 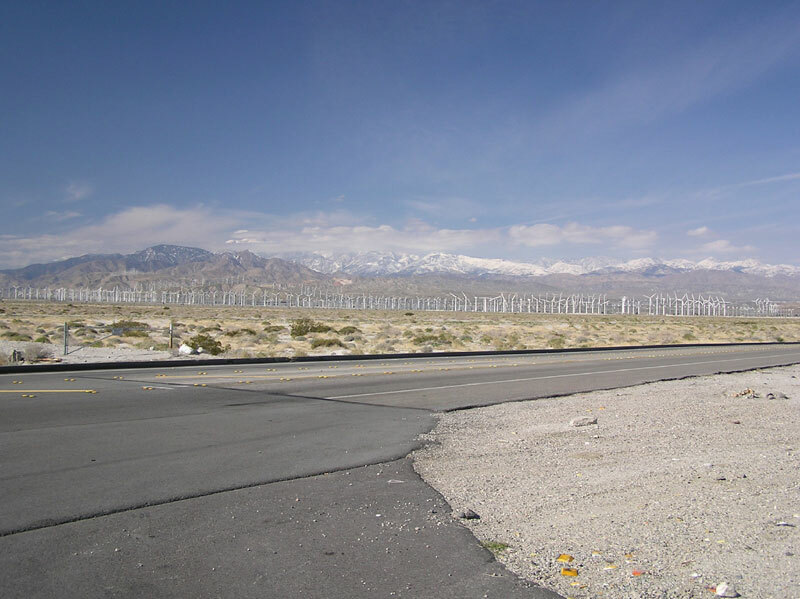 The net result, due to westerly winds, is a constant wind rushing through this pass, which is just north of Palm Springs. 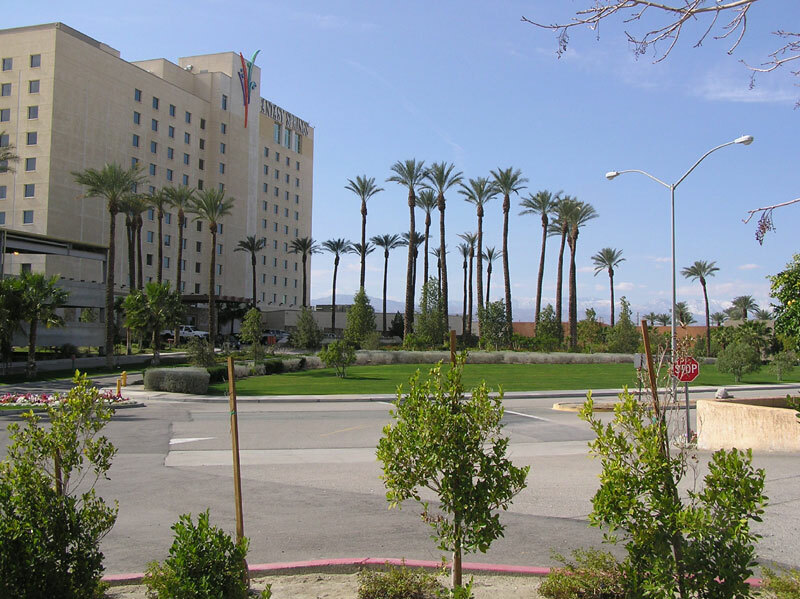 More about the windmills later because we're now in Indio, the heart of Coachella Valley. 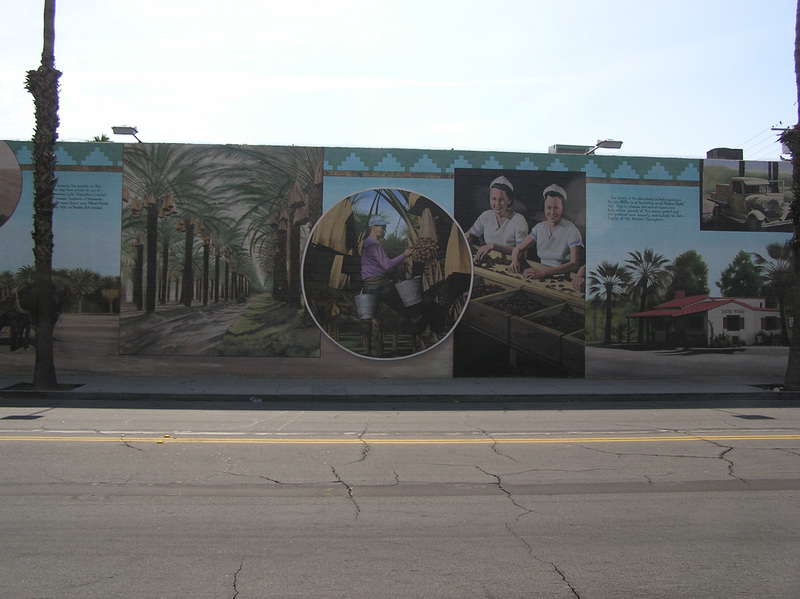 The Chamber of Commerce in Indio has sponsored artists to paint murals on buildings throughout the downtown area. Did you read "forty million pounds produced annually?" 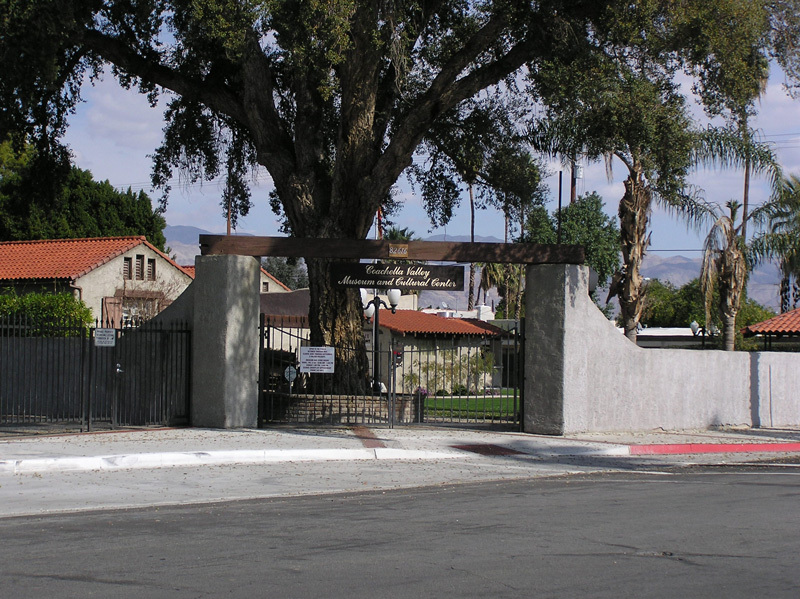 Shields Date Gardens is where you can buy all different varieties of dates. They're delicious, but they are very sweet! Before we left, we stopped into the Fantasy Springs Casino where we played digital roulette (a new one for both us) and had a very nice meal in their POM restaurant. By the way, we both won playing roulette, however Judy won more than I did. 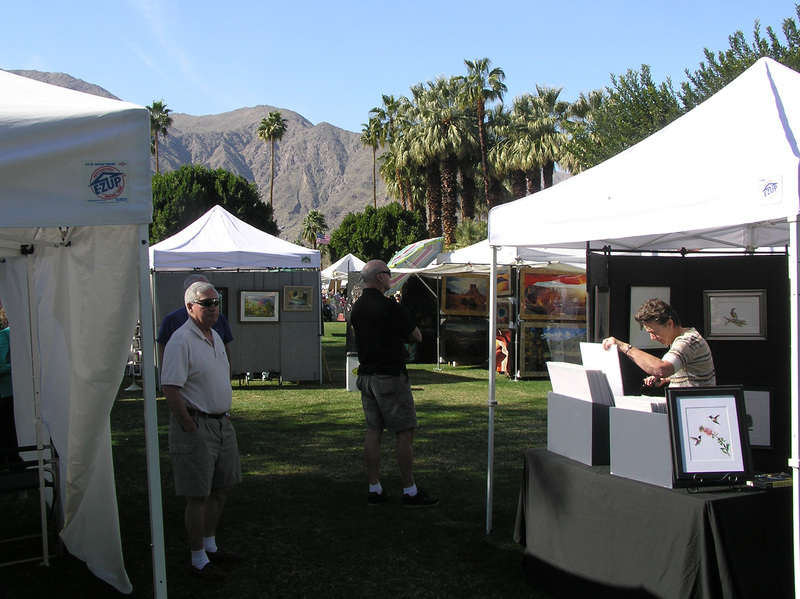 On the way back we were lucky enough to run into an art festival in Palm Springs. And then we headed back to Redlands through the funnel, one more time. 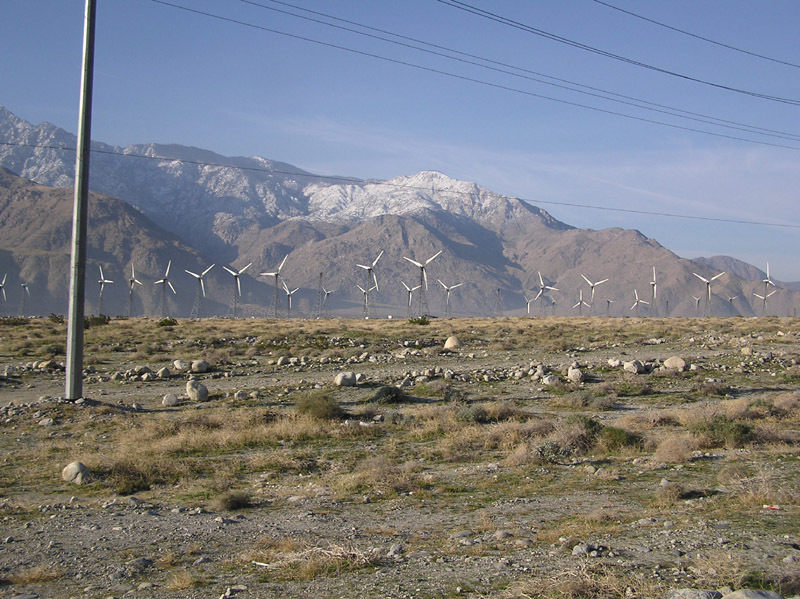 The city of Palm Springs supplies 100% of its power needs through the windmills, which number more than 5,000!